City staff reports on South Beach erosion and floating dock mold. AVALON ― A sedimentation analysis has been underway in the Avalon Harbor to search for a solution to beach erosion. Avalon City Council members expected the consultant conducting the study to provide a report at their Aug. 1 meeting. The consultant failed to appear at the meeting due to delays in his work, according to Avalon Public Works Director Bob Greenlaw. Extreme weather and waves appear to be the reason for the erosion at Avalon’s South Beach. Tidal events cause sand to shift from the beach and to deposit offshore in the harbor. The beach becomes narrower and the harbor becomes shallower – to the dismay of residents, tourists and boaters. Greenlaw presented remedial ideas to stop the beach erosion from continuing for the council members to consider. The other option: replace the existing seawall and build a deflection wall. These suggested actions presumably prevent further beach erosion from occurring but do not address the current lack of sand on the beach and lack of deep water in the harbor. Another method to replenish sand on the beach and deepen the harbor, Greenlaw mentioned, is using a dredge to suction the sand after installing the new walls. The city hired the consultant 10 months ago and is still waiting on a final report. 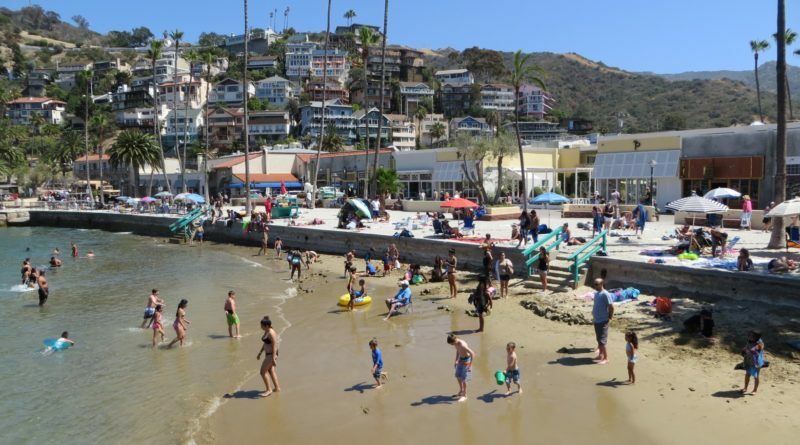 “In October 2016, the city of Avalon entered into a contract with Michael Baker International to conduct a sedimentation analysis and propose a conceptual remediation plan,” the Avalon City Council agenda stated. Results from the analysis were expected much sooner but have been delayed due to weather and other pressing demands. City staff anticipates a sedimentation analysis report and remediation plan from the consultant in September. The resolution of mold on floating docks in the Avalon Harbor was also on the City Council’s agenda. City staff found mold growing on a floating dock when preparing to do repairs in May. JLM Environmental Inspecting and Consulting was hired, May 31, to inspect three floats for mold. Test results show “elevated fungal spore concentrations,” according to the JLM report. The recommended actions are to “abrasively clean the surface using a mild solvent, install vents on the floats and dry all building materials using humidification…” the report continued. City staff sent the reports to three companies which include Alliance Environmental Group, Inc., Fresh Air Services, Inc. and High-Tech Environmental Services. Alliance Environmental Group followed through with a bid in the amount of $9,850. City staff requested City Council’s approval on this company’s quote. The City Council unanimously approved spending up to $10,000 based on the reports and without further discussion.